The following is a contribution from Tali Wee at Zillow. If you’d like to contribute to Wise Dollar, please contact us. Homeowners sell their properties for a variety of reasons, sometimes willingly, other times under pressure or on short timeframes. If you’re selling your home, regardless of your motive, you want the highest return possible on your investment; you want to get the best price possible on your home. Get the greatest resale price on your property by cleaning up, making necessary upgrades and professionally marketing your home. That’s what you should do. Here are three ‘don’ts’ to keep in mind when you’re trying to sell your home. Homebuyers look for the best deals they can afford. Almost every buyer hires an inspector to evaluate the structural integrity and safety of the homes they are interested in buying. If water damage is prevalent, homebuyers eventually find out and either back out of pending sales, negotiate seller credits or reduce their offers. Therefore, it’s in your best interest as a seller to hire an inspector to examine your property before you list it. If the inspector uncovers damages, you have an opportunity to correct them and charge higher prices for newly-updated components. Repairs might include minor fixes, such as loosening jammed windows, patching a hole in the wall, cleaning out air ducts, shampooing carpets or replacing a screen door. These corrections cost less than $500 each and might help you avoid a few thousand dollars of credits for buyers requesting new carpet, window replacements or new air duct installments. Even larger fixes such as septic system cleaning and electrical corrections are worth the costs. By making home improvements prior to selling, you broaden your audience of potential buyers and ensure a better price for your home. Although For Sale By Owner properties can be successful selling opportunities without real estate agent commission costs, navigating a successful selling process without professional advice can be detrimental. Real estate agents know their markets well, and can help you set your home at an appropriate and competitive listing price. A real estate agent can help you avoid unrealistic pricing strategies that sometimes arise from emotional attachments your home. Overpriced homes sit on the market without offers. Buyers then assume stale listings must be poor purchases if they’ve been unpurchased for weeks. When homebuyers visit open houses, they want to visualize their futures there. If current owners are present or showing spaces, it makes honest consideration awkward. It’s hard for buyers to imagine spaces as their own when they see current owners’ lifestyles, including residents, family photos and pets. Plus, honest conversations about home details between couples buying homes is challenging without offending owners showing their homes. Beyond real estate agents, you should consider hiring a professional photographer to take high quality, flattering images of your home. Again, homeowners become attached to their houses, often unable to highlight features buyers are looking for without personal bias. Plus, most sellers don’t own the equipment to properly illuminate small spaces or translate the true dimensions into photographs. Because most buyers start their house searches online, quality marketing images can be the difference between buyers visiting an open house or skipping it. You might have owned your home for more than 30 years before deciding to sell it. You may have experienced enormous costs of mortgages, paid for continual upgrades and maintained your property through long, cold winters and dry, stifling summers. Between the happy memories of raising kids, the pride of ownership and major financial investments, it can be an emotionally conflicting experience for homeowners to sell their properties. Unsurprisingly, many sellers list their homes expecting sale process to take time. 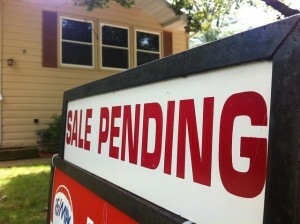 When sellers receive quality offers immediately, they’re often unprepared to accept sales so soon. One misconception sellers have is that more buyers will offer even higher prices if they wait a while longer. Unfortunately, the first offer is often the best offer from extremely serious buyers. Passing on the first offer can leave you disappointed and force you to accept a lower offer later. Instead, be prepared to show your home within 24 hours of listing it. Make all the necessary property improvements, get professional photos taken of your home and list your property online. In competitive markets, agents might recommend listing homes online mid-week, opening homes on the weekend and accepting offers the following Monday. Although fast, you can yield an impressive return on your home if you wait to list it until you’re fully prepared to let it go. Have you ever sold a home? What things caught you by surprise? Would you ever consider selling a house on your own or would you prefer to go through a real estate agent? *This post was featured on Home Money Easy and His Finance. I have only used a realtor up to this point, but I would consider for-sale-by-owner for future homes. Our last home sold in ten days and we had to pay our realtor 10K to stick a sign in our yard. Ouch! That hurt. As have we Holly, but we’ve only bought once. I’d imagine after shelling out $10k I’d be thinking of going it alone myself as well. Since we just sold our home, I have learned enough to be able to sell one on my own. I was the one that came up with the price and knew how to stage the home properly. The tactics I made was what sold the home. Our realtor just put it up on MLS and that brought the buyers. From the sounds of it I’d imagine that you would have that comfort level. I know realtors can be helpful, but if they don’t do much then it doesn’t make much sense to use them again…especially if you can do it yourself. No offense to realtors, but I feel like someone who knows the process can handle the process. Like Grayson, I think I can sell my own place…and you can pay to put it on MLS. Although I think other realtors don’t like FSBO so they might steer their clients away from you…possibly. I have seen FSBO places where they did need professional advice though…I mean the place was a MESS…if you show a place, at least make it neat so the prospective buyer can move around freely. I feel similarly Andrew. If you know what you’re doing then it only makes sense to try it yourself. Like you say though, there is a balance to be had when some just need help. Great tips! We’re selling our home next year and already beginning to prepare for it. I think I’m in a place where I can do it by owner and not have any issues. My neighbor actually just lister hers as FSBO, and it sold within 4 days for the full asking price and a cash offer. I’m fortunate enough that Nashville real estate is pretty hot right now, so hopefully it doesn’t cool down by the time we go to sell. Thanks Ryan! That’s cool you’re in a place where you’re comfortable doing it yourself – especially in a hot market. I think the biggest mistake I see is investors overpricing a property. It may be because they paid too much, or repairs cost too much, but overpricing just makes the situation worse. Completely agreed Alicia, doing so will only tend to drive buyers away. Being on the other end of the home buying story, we have walked into plenty of homes where the obvious was not completed. We have seen some of the best well-kept houses, and then other times we have walked into a house that is clearly being lived in, but no one took the time to clean. Sometimes it is just hard to even look over the visible things in order to see what the house has to offer. Great tips! Like Michelle, I’m always shocked when we go to an open house and it looks as though the owners didn’t even bother to tidy and clean. So odd and such a (relatively) simple way to make a house look more like a show home. Thanks! I was always shocked at that as well. It was always interesting to see how long many of those houses had sat on the market. I am an attorney, and I recently had a couple consult with me regarding filing bankruptcy. Their problem was they owned a vacation home they had been trying to sell for more than three years in the Blue Ridge Mountains…beautiful property. It had been over a year since they even had a phone call from their realtor. My advice to them was to forget bankruptcy, fire your realtor. If you are retaining a realtor to help sell your home, interview several and make them explain exactly how the intend to market your property online. If they do not get leads coming in immediately, find a new realtor. Having real estate agent help me got me more buyers that made good deals. If it weren’t for them, I would have sold my condo in a lesser price. It’s different when strategies of them come to play especially those owners who are not good at making sales talk. I had an agent who was so good that I myself hesitated if I was gonna push through selling my condo unit. 🙁 I eventually let it go and found a better place to live in. Number 1 is a big one. I have actually analyzed what people look at when they walk into a home and even the smallest things can turn off a buyer. My wife and I have walked through a house and thought “this place needs work”, but then after thinking back, all it needed was some paint, cleaning and small improvements. Those things could have been done for a few hundred dollars or less. It’s worth it!